Pathogenic bacteria hitchhiking to North and Baltic Seas? For the first time, AWI scientists have found evidence of living, potentially pathogenic vibrions on microplastic particles. Summer heatwaves could result in the strong proliferation of pathogenic bacteria in North and Baltic Seas. In recent years, this also included bacteria of the genus Vibrio which can cause diarrhoeal diseases or severe inflammations. “Vibrios are climate change winners, because their numbers soar at higher temperatures,” Dr. Gunnar Gerdts, microbiologist at the Alfred Wegener Institute, Helmholtz Centre for Polar and Marine Research (AWI) on Heligoland explains. In moderate summers, the bacteria are only sporadically evident in sea water, but can proliferate explosively during heat waves if water temperatures rise above 22 degree Celsius. Especially in nearshore areas of the Baltic Sea, such heatwaves have in the past repeatedly been associated with cases of disease or death caused by the bacterium Vibrio vulnificus. Gerdts and his team have taken samples from the sea and examined whether the bacteria benefit from a new habitat known as the plastisphere. Bacteria, fungi and microalgae growing in a mucous layer live in biofilms on the surface of plastic particles. They are known, for example, as the basis for growth on ships’ hulls. The composition of these biofilms varies depending on the condition of the surface and the living organisms in the surrounding water. Gene sequencing suggested that Vibrios may also be part of this ecosystem. 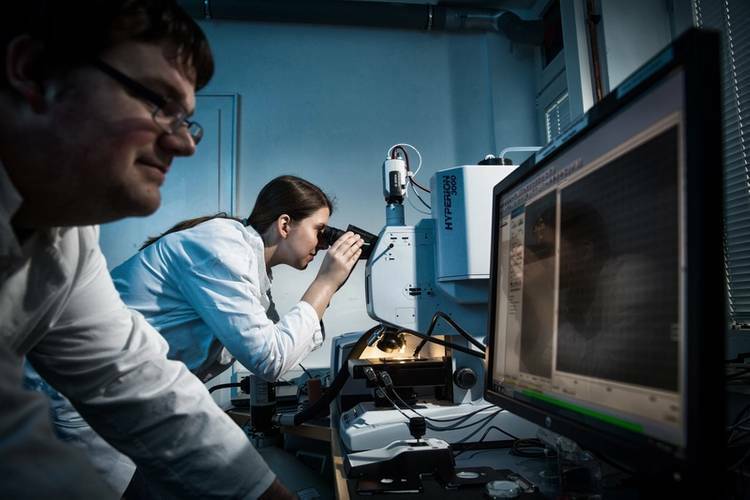 For the first time now, the Heligoland microbiologists have succeeded in proving the existence of living, potentially human-pathogenic Vibrio species in biofilms on microplastic particles. “This illustrates the potential of pathogens hitchhiking on these particles, i.e. disseminating as free loaders within an ecosystem and proliferating beyond,” Gunnar Gerdts classifies the latest research findings. For their study, now published online in the “Marine Environmental Health” professional journal, the AWI scientists on the research vessel Heincke had taken samples from 62 sampling stations in the North and Baltic Seas. 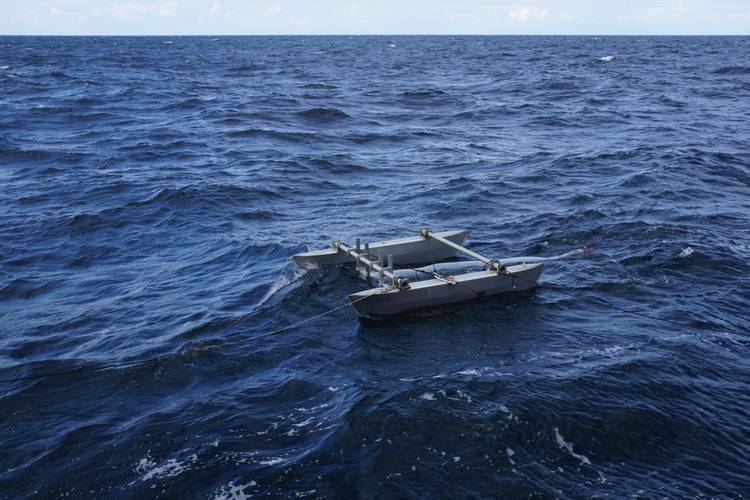 In addition, they used a Neuston catamaran (photo) to skim off microplastic particles directly below the water’s surface for further investigation in the laboratory. In total, the scientists collected 185 particles. On 19 of these particles, they found evidence of Vibrios that were mostly also found in water samples from the same sampling stations. The good news: As part of their investigations, the Heligoland AWI scientists did not encounter any pathogenic genotypes. Microbiologist Gunnar Gerdts is also in communication with the authorities on this topic. “At the North and Baltic Sea coasts, regional investigation offices already spot check water samples for Vibrio species. It would be a cause for concern if microplastic particles ‘charged’ with Vibrios became a regular occurrence in the future, as biofilms generally have a higher bacterial density than open water,” the AWI scientist reports. By the way, the test method used in the study does not permit any conclusions as to whether Vibrios accumulate on these plastic particles. With the culture medium used, the scientists were only able to show whether or not Vibrios live in the water or on the microplastic particles. “For that reason, it is our aim for the future also to determine the number of Vibrios on the plastic particles using the quantitative polymerase chain reaction which will then also permit quantitative comparisons,” Gunnar Gerdts specifies the next research objectives. In addition to several species of Vibrios, a distinction is also made between various genotypes of different pathogenic potential. The genotypes evident in the study did not have the virulence genes as for example found in pandemic genotypes, such as Vibrio cholerae El-Tor, a cholera-inducing pathogen. However, even such not specifically virulent Vibrios can cause serious diseases, if there is any prior damage to the infected person’s state of health (e.g. by diabetes).